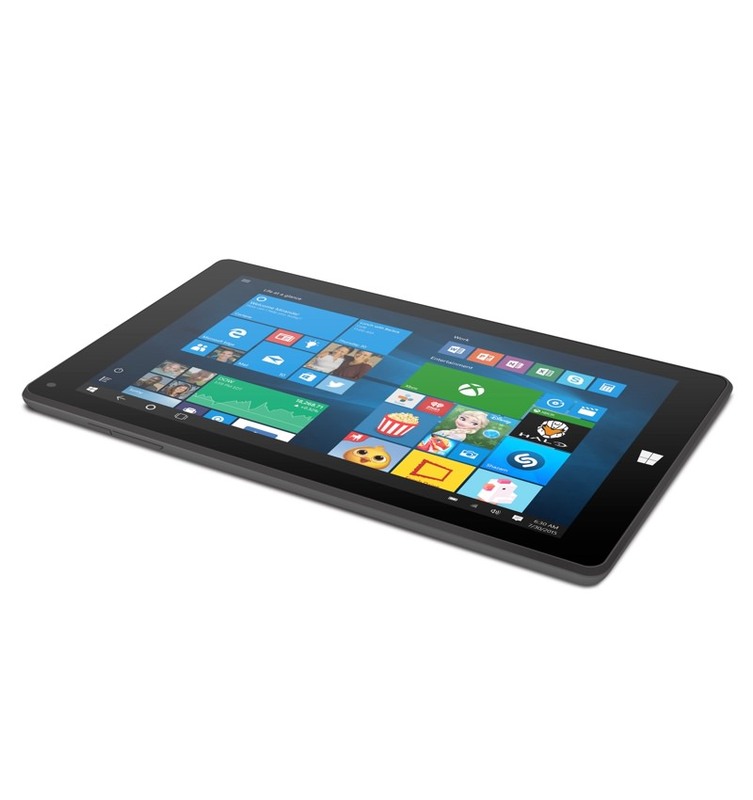 The Ematic 8.9″ HD Quad-Core Tablet with Windows 10 is a perfect sized tablet to stay entertained, connected, and informed from almost anywhere. Entertainment wherever you go thanks to built-in Wi-Fi and Bluetooth functionality, allowing you to turn any place into your home office or living room. Made with a capacity for productivity equal to that of a PC, this tablet is by no means ordinary. 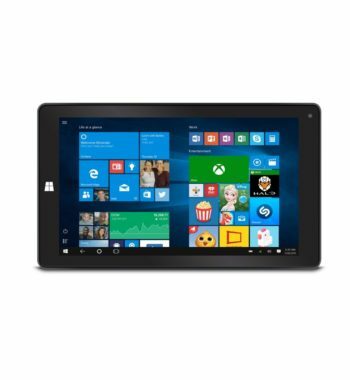 Windows 10 and the 1.3GHz quad-core processor boost this user-friendly tablet with both familiarity and speed. 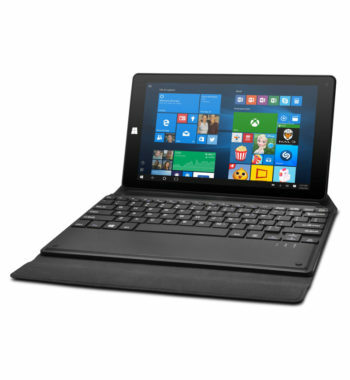 Built with an 8.9″ touchscreen with multi-touch capacity and a virtual keyboard, the EWT935DK delivers high-res (1280×800) videos and images right to your fingertips. Utilize the 0.3MP front camera to take selfies and video chat with friends and family, and the 2MP back camera to capture every special moment of your adventures in pixel-perfect quality with ease. Store all your cherished and important files with the 32GB flash memory storage. Need even more storage space? Simply take advantage of the Micro SD cards slot to add up to another 32GB. Connect external devices and transfer files manually via the USB port with no hassle at all. No need to fear about the EWT935DK dying on you from overuse, it comes with a wall charger to keep you going strong. The Ematic 8.9″ HD Quad-Core Tablet with Windows 10 is a perfect sized tablet to stay entertained, connected, and informed from almost anywhere. Entertainment wherever you go thanks to built-in Wi-Fi and Bluetooth functionality, allowing you to turn any place into your home office or living room. 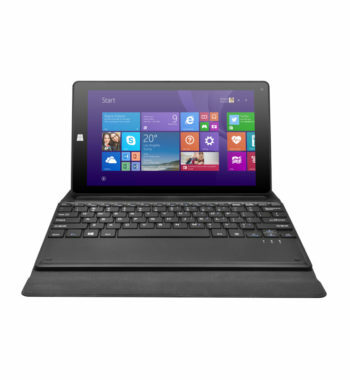 Made with a capacity for productivity equal to that of a PC, this tablet is by no means ordinary. Windows 10 and the 1.3GHz quad-core processor boost this user-friendly tablet with both familiarity and speed. 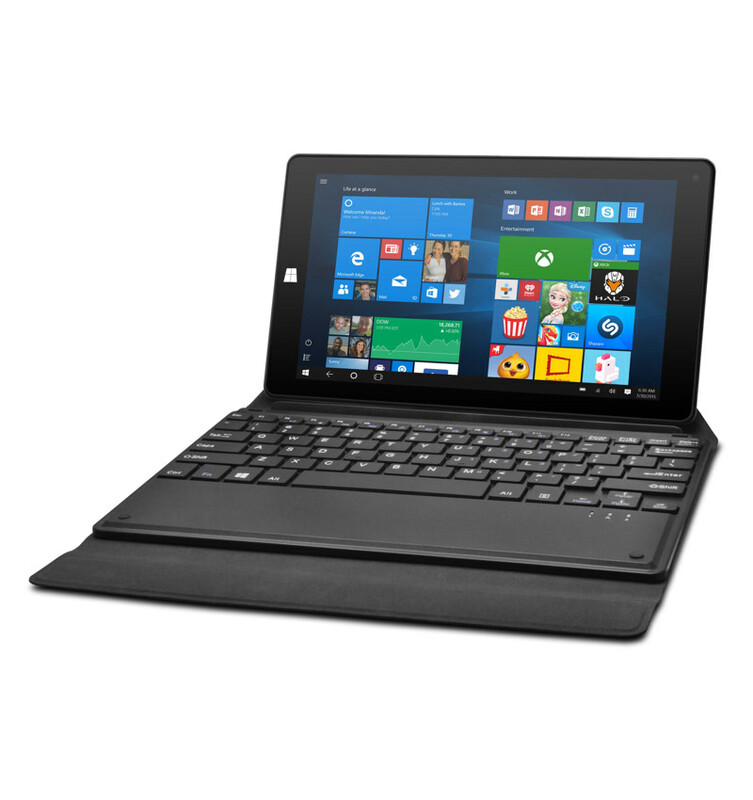 Built with an 8.75″ touchscreen with multi-touch capacity and a virtual keyboard, the EWT935DK delivers high-res (1024×600) videos and images right to your fingertips. Utilize the 0.3MP front camera to take selfies and video chat with friends and family, and the 2MP back camera to capture every special moment of your adventures in pixel-perfect quality with ease. Store all your cherished and important files with the 32GB flash memory storage. Need even more storage space? Simply take advantage of the Micro SD cards slot to add up to another 32GB. 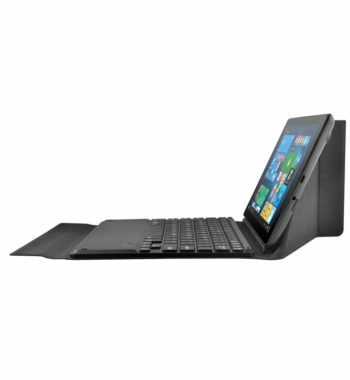 Connect external devices and transfer files manually via the USB port with no hassle at all. 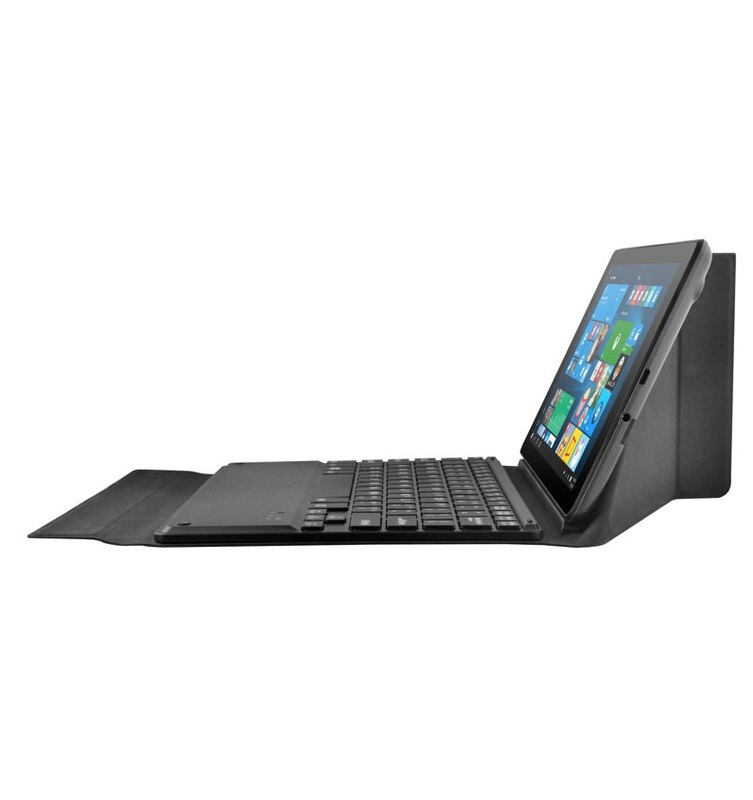 No need to fear about the EWT935DK dying on you from overuse, it comes with a wall charger to keep you going strong.